This morning, a few days before my 40th birthday, I put two contact lenses into one eye. Who says 40 is the new 30? Photo to the right was taken on a recent whale watching trip. This was about 10 minutes before I got too seasick to care about whales. And actually I think these are dolphins. So recently, I’ve started going to an acupuncturist. Combination of not wanting to be heavily medicated and hearing the tales of others, including some friends in the medical profession, talk about the merits of acupuncture (one friend, a 43-year-old physician, has had numerous surgeries and procedures in an effort to get pregnant; enter acupuncture — she’s 4 months along now). Of this I am convinced: it certainly does something. The first time I had it done, about 10 minutes in, alone in the room, I started laughing uncontrollably. Nothing was funny. Although I wouldn’t rule out mental illness, it seemed to be a strange response to the acupuncture. Apparently this isn’t uncommon. And after my first session, I felt the best I’ve felt since I was probably two. It’s what I imagine nirvana is meant to be like. And best of all, I slept that night, which hasn’t happened much lately. Last time I went, the acupuncturist checked my pulse and said that my lungs sounded weaker than normal. I had felt that day that I was coming down with something, and had just started feeling slightly headachy, with some sinus pressure, and that overall run-down feeling. She prescribed me some herbs to take — apparently these are very effective if you can catch something at its onset — and within a few hours, I felt a lot better. By the next day, I felt fine. So I’m a convert. I was always skeptical of Chinese medicine, but I’ve realized that having a Chinese mother who randomly instructs you to ingest herbs is not the same as having someone who has actually studied Chinese medicine prescribe you herbs. And I can’t explain the acupuncture, except to say that it works. In case you’re wondering, and you’re probably not, if there’s an earthquake you’re allowed to pull all the needles out. And then run outside in your glamorous paper robe. After a couple of months of dry-heaving from stress, I’ve started to re-examine my life and have decided that I should really focus on the living part. One thing that’s helped me feel a little more sane is de-cluttering and streamlining. Enter Melaleuca, The Wellness Company. A co-worker of mine recently introduced me to the products. They’re non-toxic, concentrated (and thus space-saving: I took back four ginormous bottles of toxic cleaners like Cascade and Jet Dry that I could barely carry — and a single normal-sized bottle of Melaleuca’s Diamond Brite did the job far better), effective (who knew natural products could be even better than harsh chemicals?) and economical (much, much less expensive than buying non-toxic products through regular retail channels). A lot of the products serve multiple purposes, like the Tough & Tender all-purpose cleaner, which is also a fruit and veggie spray, or their toothpaste, which can also be used to polish silver. Their vitamins are far superior to grocery store brands — I started getting up early to do yoga in the mornings — and my husband asked that I buy him some of these vitamins because he’s never seen me with this much energy! 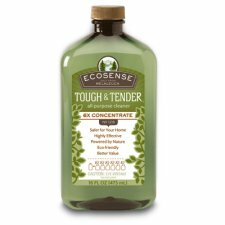 No more headache-inducing fumes after the cleaners come, no more giant Costco containers that don’t fit on my shelves, and no more paying extra for companies’ advertising and distribution costs (Melaleuca is customer-referral-only, so you get better value). I’ve still got a long way to go before I’m as streamlined as Jay Shafer, who is apparently making it all work in a 89 square foot home — and I’m pretty sure I’ll never get there (where would I put all my handbags?). But this is a pretty good start. My least favorite kind of stress is the kind that makes you randomly gag and wretch during the day, struggle to retain composure, and makes people wonder if you’re trying to hide a pregnancy. I’ll save the details for the novel that will render my financial success a foregone conclusion (please, magic book deal people, I’m sure I can think of something you’d want to publish! ), but I found myself craving something very comforting…and yet very cheap. Two weeks ago I was up in San Francisco visiting my brother and sister-in-law, who live the lifestyle of the people you’d imagine live in the spaces shown in the CB2 catalog. They had this Method Dish Liquid in the kitchen and I strangely found myself finding excuses to do the dishes. The pink grapefruit scent is perfect — calming, soothing, not quite as sharply citrus and energizing as lemon but somehow spirit-lifting and happiness-inducing all the same. I also bought the all-purpose cleaner and have been cleaning a lot more…for fun! Equally non-toxic as my home-made cleaning agents, they smell a million times better than my vinegar-y concoctions. And they made me feel…better! Like, a lot less stressed…and just by washing dishes! You can buy it pretty much anywhere nowadays, but one easy way is via Alice.com. Alice’s prices are very competitive, and best of all, shipping is free AND you don’t have to leave your home. Alice, your online domestic helper, will send you reminders to refill certain things at intervals that you specify. It’s a great idea — and once Alice gets a critical mass of inventory so that I can take care of all my household shopping online — I will gladly fully outsource all of that to Alice. Worth trying out — the more people that try it, the more leverage they’ll have to get products. Will someone please talk me down from the ledge? After subscribing to a most dangerous service, which I’ll write about some other time (it emails you things that are on sale, in your size, from designers you like, daily), I came up on this gorgeous bag: the Marc by Marc Jacobs Totally Turnlock Tobo bag. I do love most things Marc Jacobs, but this bag crept up on me like the Botkiers of yesteryear. With its perfect puffiness, casually latched top and part-hobo, part tote presentation, I felt like it was an old friend. Or a baby. I got the feeling I imagine some women have when they see a baby — that irresistible urge to want to hold it. The simplicity of the design and the versatility of the white (I happen to believe in winter white) pushed me over the edge — the elements that make this bag appealing are the same ones that make Hello Kitty universally cute — not so much what is there but what isn’t. I also have a weakness for buttery-soft leathers, and this one looks like it measures up pretty well. I’ve heard that Jacobs bags weigh a ton. Would that be a deterrent for me? Or could I argue that carrying the bag would be the only exercise that I get — and then perhaps that I should get two? Alexander the Great wanted to conquer the world. Barack Obama wants to save the world. I have always wanted to have hair with volume. If you’ve seen my hair, you know that I have stick-straight Asian hair with a predisposition to kick out at the bottom in the exact opposite direction from what is desired (it’s like it knows…and then does whatever I don’t want it to do just to tick me off). It is also really heavy, and I’m pretty sure that at least 20% of my brain power is dedicated to instructing my head to remain upright despite the gravitational pull from the hanks of hair. If I wanted really serious volume, I’d have to get a cut where my hair was no more than 1.5 inches all around — but it’d be the wrong kind of volume (think porcupine after electric shock). I also sleep on my hair, which doesn’t help, and I’m growing out my bangs, which, though not relevant to the volume issue, really doesn’t help in general. Part of having good volume (and the right kind of volume) is of course having the right cut. But my hair can’t have decent volume without additional intervention. For this I have two products in the arsenal. I really like these MOP products because I’m a fan of the fresh lemongrass scent, and the products hold. 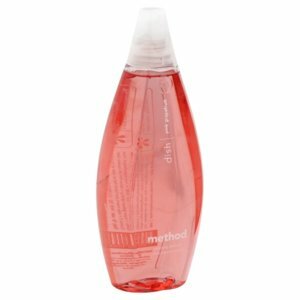 MOP Form Foaming Gel with Light Hold. I usually put this on near the scalp where I want volume and then blowdry my hair upside down. Pro: this has given me more volume than any other product I’ve ever tried, and I’ve tried a lot of products. Con: I should probably put in for a Prozac prescription right now, because I just found out that it’s been discontinued! Why do they forsake me?!? MOP Glisten Organic Volumizing Spray. If I want major volume, I’ll put this on over the Forming Gel before blowdrying. In between washes, I spritz it at the roots and then blowdry upside down — it neutralizes grease and gives a (heat-activated) lift. And I love the lemongrass-y freshness. Try these recommendations if you have hair like mine. Send me yours. The quest continues. Every once in a while you stumble upon something that makes you inexplicably happy. For me, it was the discovery of Etsy, “your place to buy and sell everything handmade” (note it is not “the place where people buy the things from me that are handmade”, because nobody seems to like the things I make). The product to the right is from a seller named yooboro who seems to specialize in plush not-scary-monsters. While I don’t have anything against mass-production (see what happens when I get into an H&M; store), I do have an appreciation for things that are handmade, and are less ugly than the things handmade by me. 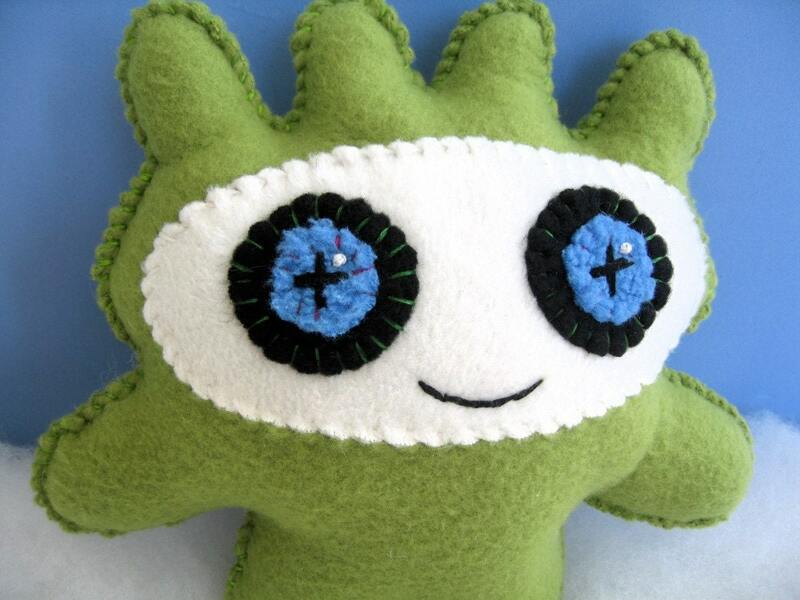 Etsy has a lot more than colorful plush monsters. I’m amazed at the things people make — from unraveling and re-knitting vintage sweaters to quilting enormous wall hangings. You can get cute handmade skirts for $15. My kids got a pair of the most exquisite Japanese-anime-sort of wool dolls from an Etsy seller for Christmas, and I just marvel at the maker’s command of proportion and the magic elements of achieving ultimate cuteness. Inspired (as I am, just once a year) to pick up my knitting needles again, I discovered this amazing craft blog called futuregirl.com (here, I was interested in how to sew a lining for the knit bag I will probably finish circa 2021: http://www.futuregirl.com/craft_blog/2008/1/tutorial-sew-lining-for-crocheted-bag.aspx . I did make my first hat, though. Which is really useful when it’s 75 degrees and sunny year-round. Have you ever had a day that felt like a movie? The kind where at any moment, you could burst into song with choreography and colors seem uncannily vivid? (And not the kind of movie that I typically live, which would be a low-resolution film docu-drama comprised of 10,000 hours of me sitting in front of a computer monitor.) I had one of those days today. It was probably 70% of the excitement level of what is pictured to the right: when we had Sleeping Beauty show up at my daughter’s birthday party, and kids’ mouths just fell open when she walked through the door. I’m talking A-list-princess-starstruck, like these kids just couldn’t believe it — I guess the comparable for me would be if Conan O’Brien suddenly appeared at my door, because I think he’s so funny it would suddenly make me completely un-funny and I wouldn’t know what to say and would kick myself later after thinking of all the funny things I could have said and come to think of it would be a pretty bad experience. Anyway, it wasn’t like that. But it was 70% of the way there. It started off with a pretty good night’s sleep…and successful completion of work-related tasks I won’t go into. So I felt really giddy all day, like George Bailey in It’s a Wonderful Life after he comes back from his, uh, hallucinations and goes around hugging people and giving them money (or do other people give him money? Hey…the movie is better). And strangely, when I picked up the kids from school, they seemed to sense this mom-doesn’t-seem-crazy-today vibe and were happy and laughing…and after school, because I no longer had this hanging over my head nor had to log onto my computer as soon as I got home, I actually played games with them and interacted with them for the first time in, well, forever, and it was fun. I even put a jazz CD on while I was doing the dishes after dinner, and it was strangely pleasurable, clearing up the kitchen. So maybe I have developed some kind of chemical imbalance in my brain. Anyway, I also brought a cute little gadget with me to work today. It’s a tea pot with an infuser like the one I’ve linked to here except that the one I bought came from a Chinese grocery store and cost $5.99. I’ve been a fan of drinking green teas lately, particularly the ones with loose tea leaves that unfold when infused into enormous leaves like some kind of magic ’80s toy, with the idea that somehow the anti-oxidants are going to eventually turn me into a 20-year-old. They’re really messy if you don’t have a removable infuser. Plus, with these types of tea leaves (available at your local Asian grocery, but in my case, purchased from Taiwan) you can re-use the tea leaves a few times — probably somewhere around three. I think my new little teapot added to the excitement of the day. And maybe there were hallucinogens in the tea. How did I ever live without the internet? What else could provide hours of self-ab sorbed, sedentary entertainment while stimulating the economy? On a side note, is it bad to re-order my contact lens prescription online before it expires in order to avoid going to the optometrist? So I was shopping on RueLaLa , a designer sample sale site like Gilt, and saw that they were part of Retail Convergence, Inc. Working in online retail myself, I was curious to find out more about them, and saw that they also owned SmartBargains. They bill themselves as “your personal bargain hunter”, and I have to say that they do have the most remarkable bargains on designer items. Some of their designer shoes are up to 80% off, and they have a pretty good selection. I haven’t explored other categories closely yet, but it certainly seems like a good place to check out if, say, your husband is laid off (ahem). The other site I’ve been using is TheFind. It’s like Google for shopping — you get pictures of your results, as well as a summary of retailer and price. It’s a nice idea, but I’ve noticed that it’s not as updated as it should be. For instance, I saw a few Botkiers on super sale listed, but when I clicked through those items were out of stock. It’s probably a tough algorithm to catch out of stocks, particularly if the retailers aren’t actively updating their data feeds, but I’d give it a 70% score on accuracy. I like that all the results are aggregated and you can visually discriminate between things you want to look at and things you want to ignore. On another side note, I was flipping through the J.Crew catalog and saw a bag that, though not a Botkier, is also cute: the Quincy in patent leather. It has a bit of Chanel knock-off to it, but for $298, might be something to consider if your husband is laid off, for instance. Again, not a Botkier, but not bad.